Two bedroom two bath apartment ( 780 sq.ft.) 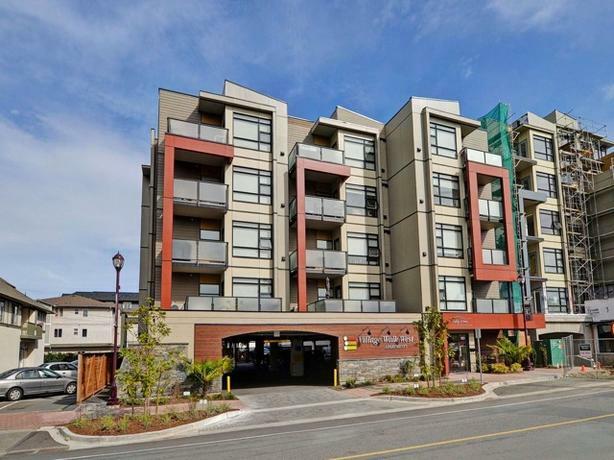 in Village Walk West Phase 2 in Langford- Walk to all the amenities the heart of Langford has to offer -- restaurants, yoga, library and main transit to town. This 2015 purpose built rental apartment features 5 appliances including washer/dryer, 9' ceilings, heat pump / air conditioning, vinyl plank flooring, and BBQ friendly balconies. One parking stall storage, hot water on demand and a storage locker included in rent. Bike storage available. Pet considered on approval and the landlord will require a pet deposit. Please contact the caretakers at 250-661-0713 or email hockleyapartments@gmail.com to arrange a showing. For all other listings, visit www.thepropertymanagers.ca.